Good reads are not merely a site that will help you find an eBook of your choice, it is a website meant for all book lovers, it is one of the largest sites for readers, they help people to share their book choices with each other. You can easily see which books are read by your friends, track the books you aim to read and are presently reading, download their eBooks and analyze a data of about 20 billion books. They believe that a person will always prefer to know his or her friends choice for reading rather than taking suggestions from some stranger, from the Internet or a bestseller proclaimed by the media. 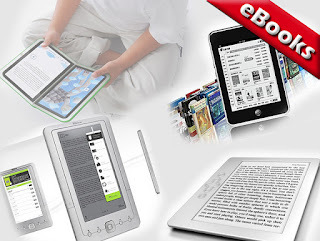 The company possess a large e-library and provides even students textbooks for free. As a global publisher, they own about 1,000 textbooks for students and 600 other books to be downloaded for free for business professionals in about 9 languages. The site is basically for school and college students and business professionals. Till now around 50 million downloads have occurred through the site with a major proportion of free student textbooks. The website provides free books due to the financial support provided by companies that advertise through the Bookboon platform and wish to recruit the readers and customer of the site after their graduation. Or simply, the future employers pay for the present students. The site provides a great deal of sections and books to choose from. The major categories include Fiction, Nonfiction, Academic, Textbook, and Others. These are further divided into sub-categories like drama, horror-Gothic, humor, mystery, poetry, Sci-Fi fantasy, biography, career, computer and The Internet, educational, food, games, health, psychology, classic literature and many others. The site also provides audio-books in fiction, non-fiction and children sections. Apart from this books are also classified on the basis of Hot arrivals, overall top 10 books, best books of the Business field, Fiction, non-fiction, and Lifestyle. The blogs are quite helpful for book lovers and business personas. Obooko stands for download “online books to read offline” and the initial and the last letters of the site stands for online and offline. The site not only provides free books for reading online but also allows budding writers to publish their work for promotion online through obooko. The books are made available legally and is distributed with the written permission of the writer and follows all the Copyright laws issued by US and UK. Their operation is legal, honest and trust-worthy. Also, the e-books are checked and tested for the presence of viruses and malware. Each file is downloaded individually and contains no attached software promos. The best part is that when you expect a PDF file getting downloaded on your system then only a PDF file is downloaded. The subscription is free of cost, you shall not be pestered to offer any donation and also there shall be no advertisements inside the downloaded eBook. It is a site that brings authors and readers on the same platform. Authors with their free eBooks find a large group of readers while the readers find free books. It creates a central hub for free legally available books from a large variety of genres and categories, it also provides tricks and strategies on how both authors and readers can utilize the various tools to magnify and enhance their reading and writing experience. You can easily stay in touch with the latest happenings in the website through RSS feeds, their Facebook page, and twitter account. A library worth millions of books, audio books, comics, documents and sheet music selection and many more. Scribd is an open platform for publishing and downloading books. Until now around 60 million documents have shared through the site. It consists of landmark court filings to business presentations incorporating academic papers from professionals all around the world. The site boasts around 80 million monthly readers, 2.5 million user bookmarks and around 17.6 hours of overall reading. They have won many awards these include; top 10 most innovative companies by Fast Company, 2011 Technology Pioneer by World Economic Forum and named as one of the top 10 startups that can potentially change your life by Times. The site was established in 2004 with a purpose of creating an enormous e-library for book transactions over the Internet. They also provide e-books from Project Gutenberg archives hence, they have a larger collection of classics. Earlier they provided only e-books but now they have expanded their website as a self-publishing platform for the authors too. Their daily newsletters provide an outline of their dynamic growth and their latest additions to the website. You can easily connect through them via social media sites like Facebook, twitter, and Tumblr. These were some websites that can be of great use for everyone. Hope you find your required books here. And keep reading!